Labor day sale ends soon! 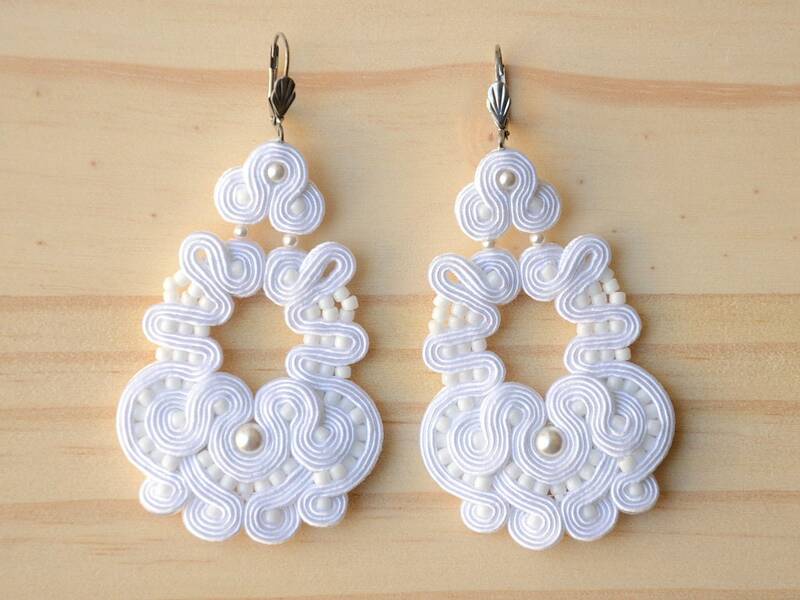 Large white chandelier earrings with unique design. I created these earrings using Swarovski pearls and glass beads embellished with the soutache braid. They will boost up your look and make an irresistible impression. These earrings are a perfect add-on to a boho-inspired or romantic wedding dress. A jewelry gift box is included. IMPORTANT: Please note that it is not possible to change the size of these earrings or to make any other alterations due to their unique design. Read the 'ITEM DETAILS' section carefully before placing an order. Please read the policies section before the purchase.